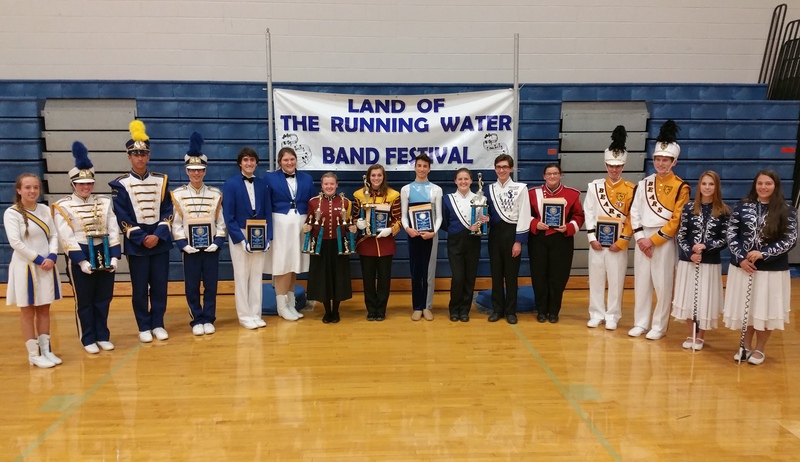 The Tamaqua Area Raider Marching Band hosted their 19th Annual Land of the Running Water Marching Band Adjudication Festival on Saturday, October 3, 2015 inside the Tamaqua Area School District Sports Complex. The event, which was moved inside due to rain, included performances by Mahanoy High School Marching Band, Minersville High School Marching Band, Wilson High School Marching Band, Southern Lehigh Marching Band, Exeter Township High School Marching Band, Bangor High School Marching Band, Pottsville High School Marching Band, and, of course, Tamaqua Area High School Raider Marching Band. All, but Tamaqua Area, were judged in various categories. Judges were Ken Smeltz from Hegins, Hank Grilk from Lakeville, and Dennis Rhoads from Reading. Due to the high number of TamaquaArea.com photos taken, all photos are on our SmugMug photo archive page. As always, all photos and videos are free to download, save or use. Photo links are provided.